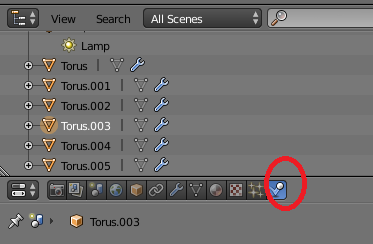 Is there a way to put an object on uneven surface? 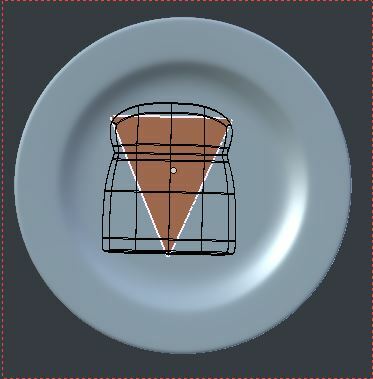 For example: if I make a food object, let's say a toast, and put it on a plate, it's all well if I just put in on the center of the plate, which is mostly flat surface. But what if there are other objects on the plate, and I have to put the toast on the side edge of the plate, which is curved? I have tried using proportional editing and dragging faces of the toast as near as possible to the plate's surface, but the result is really ugly (perhaps due to my lack of experience and skill). Snapping to the surface seems only worked the best when the objects have flat surfaces. 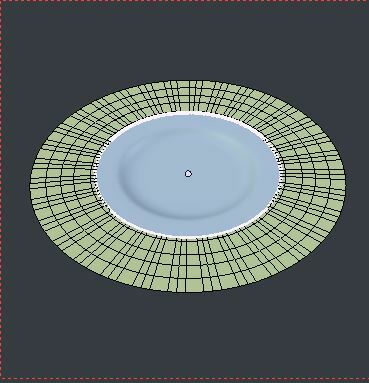 Prepare a copy of the plate's top surface, its rim (E,right-click, S) extended, as a Shrinkwrap target. Make a triangular face from some vertices of your toast,ShiftD duplicated, and P separated to a new object. This will be the root object, and control the gross orientation and location of the toast. Additionally, create a flat Lattice, (1 segment in Z) which will bend the toast. in Object Mode, CtrlP parent the Lattice to the triangle. Assign Shrinkwrap modifiers projected in Z, to both the triangle and the lattice, aimed at your newly created Srinkwrap target. Assign a Lattice modifier to the toast, targeted on the Lattice. Now when you move the triangle, the toast will more-or-less conform to the plate. You can tune the resolution of the Lattice and influence of the Lattice modifier to make the toast more or less soggy, and the offset in the Shrinkwrap modifiers to control the proximity of the toast to the plate. EDIT: A duff version of the blend replaced: 1400 GMT 19 March. 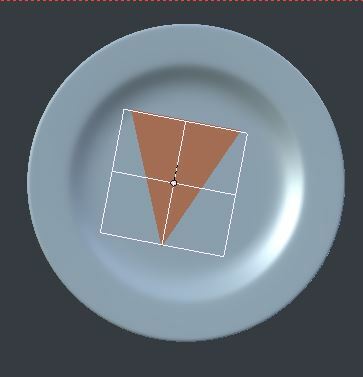 You can use the physics engine to place the toast on the plate. Initially position the toast just above the plate and enable rigid body physics in both the plate and the toast. The plate will be static and the toast will be active. You may want to make other objects on the plate static to prevent the toast from sliding further into the plate - but experimentation will enable you to get the look you want. Run the animation and use the frame after the toast has settled on the plate. How to add detailed engravings onto a curved surface in Blender for 3D-printing?